Should Maryland Decriminalize Marijuana And Other Drugs? Each year thousands of defendants are arrested in Maryland for possession of marijuana and other drugs such as cocaine and and prescription pills. The costs of enforcing Maryland marijuana laws and other drug laws were revealed in part one of this post. In part two we will discuss the possible positive effects of decriminalizing marijuana in Maryland. Decriminalization does not necessarily mean that drugs would be legal, rather it simply means that those caught possessing marijuana or other decriminalized drugs would not face criminal sanctions such as jail time. Penalties could still be imposed, including fines, and tickets similar to parking infraction tickets. Decriminalization must occur at the state government level and at the local level in order to be effective. To initiate decriminalization of marijuana the Maryland Legislature would elect take its drug laws off the books, forcing local governments such as Baltimore City or Baltimore County to instruct its police officers to stop making drug arrests. If local governments have their own drug laws, they could choose to continue to enforce them unless the Maryland legislature enacts specific legislation prohibiting this. Ideally decriminalization would be a joint state and local effort, but Maryland state law would prevail in case of a conflict. Marijuana decriminalization has been a highly debated topic over the last few years. 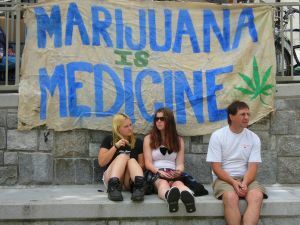 Many proponents of marijuana decriminalization, such as Fox News journalist John Stossel, have studied and reported on the positive effects of decriminalization in other countries which could serve as a model for federal and state governments in America. Stossel recently traveled to Portugal to study the effects of decriminalization. The Portuguese government decriminalized all drugs, including marijuana, cocaine, and heroine 10 years ago. In Portugal, and especially in the capital city of Lisbon, drug addiction was rampant until the government enacted its decriminalization policies. Portugal’s top drug official, Joao Goulao stated that there were close to 100,000 heroine addicts among the country’s 11 million population. If those figures were correct nearly 1 percent of the country was addicted to the drug before decriminalization. Goulao told Stossel in a recent interview that drug addiction has decreased since the drug laws were modified, and there is less drug use among teenagers. Street level conflicts have also decreased as well as the number of drug related violent crimes like robbery. Goulao also adds that the police are looked at in a much less negative light by the consumers. Holland is another country that has been famously studied for its policies toward marijuana. Contrary to popular belief, marijuana is not legal in Holland but rather possession in small amounts has been decriminalized, and sale is regulated and taxed. Holland has generated billions of dollars of tax and tourist revenue with its decriminalization polices, and drug addiction is not rampant in Holland. Present political opposition toward decriminalization in Holland is based more on a fear of negative public perception than actual data. If states such as Maryland were permitted by the federal government to decriminalize marijuana, the tax revenue generated would approach billions of dollars and the money saved on enforcement would be in the hundreds of millions. Rather than drug dealers and gangs profiting from marijuana laws this money would be instead be used by state and local governments. The marijuana industry would also create thousands of jobs in states that choose to decriminalize the plant. Opponents of decriminalization often argue that marijuana use would sharply rise if potential users would not face criminal sanctions. Other anti decriminalization arguments include the possibility that state and local governments would have to deal with increased healthcare costs and other costs associated with marijuana use. While these arguments are theoretical and not supported by actual data, the tax revenue generated by decriminalization is not theoretical. Future posts will discuss in greater detail the pros and cons of marijuana decriminalization. 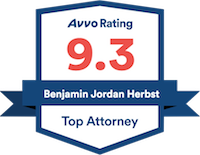 The Herbst Firm is a Baltimore City and Baltimore County criminal defense firm specializing in defending marijuana possession and drug possession cases. If you or some one you know has been arrested for a drug crime in Maryland contact Baltimore Drug Possession Lawyer, Benjamin Herbst at 410-207-2598 for a free consultation.